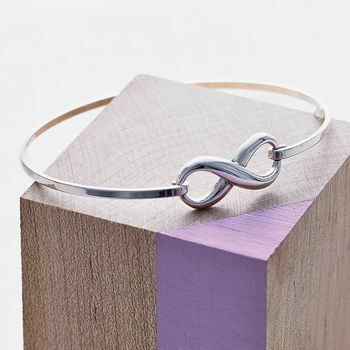 Dainty sterling silver Infinity bangle with hook clasp. 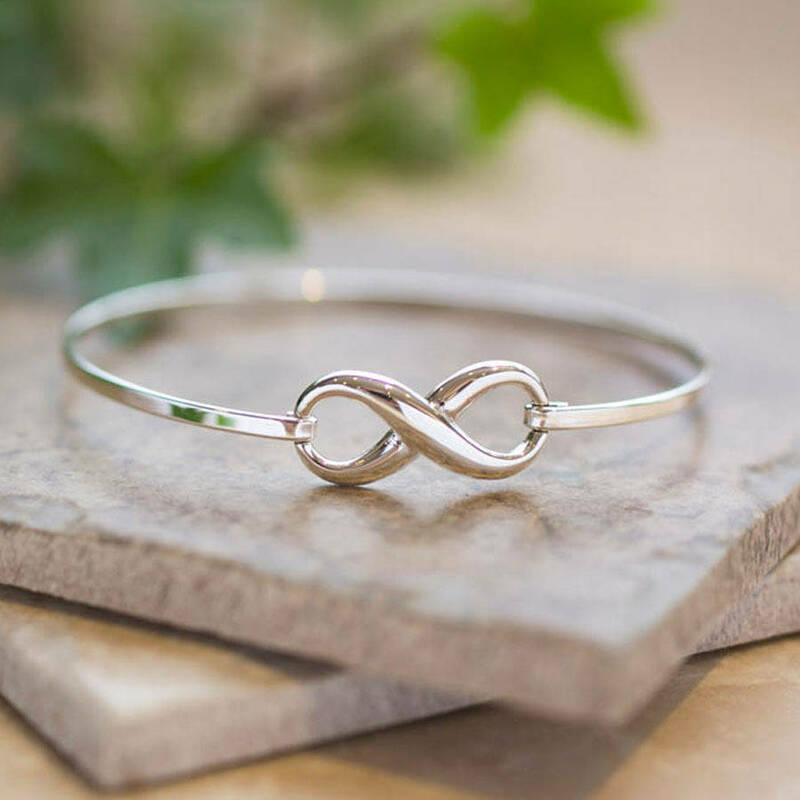 This is a pretty, lightweight sterling silver bangle with the infinity sign, symbolising eternal love. It is hypo-allergenic and nickel free, making it suitable for everyday wear. Matching products are available. 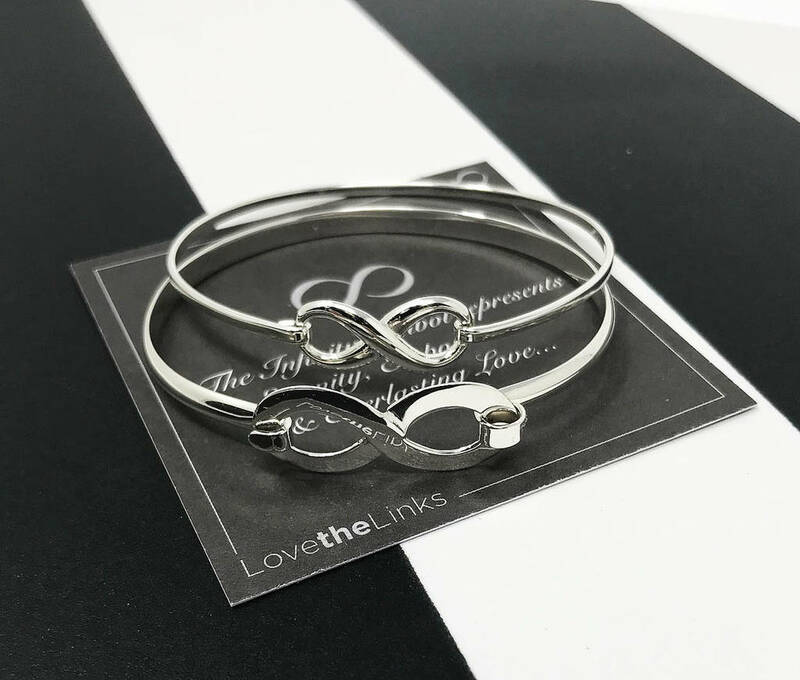 Please click on 'Lovethelinks' under the product name for the full range. 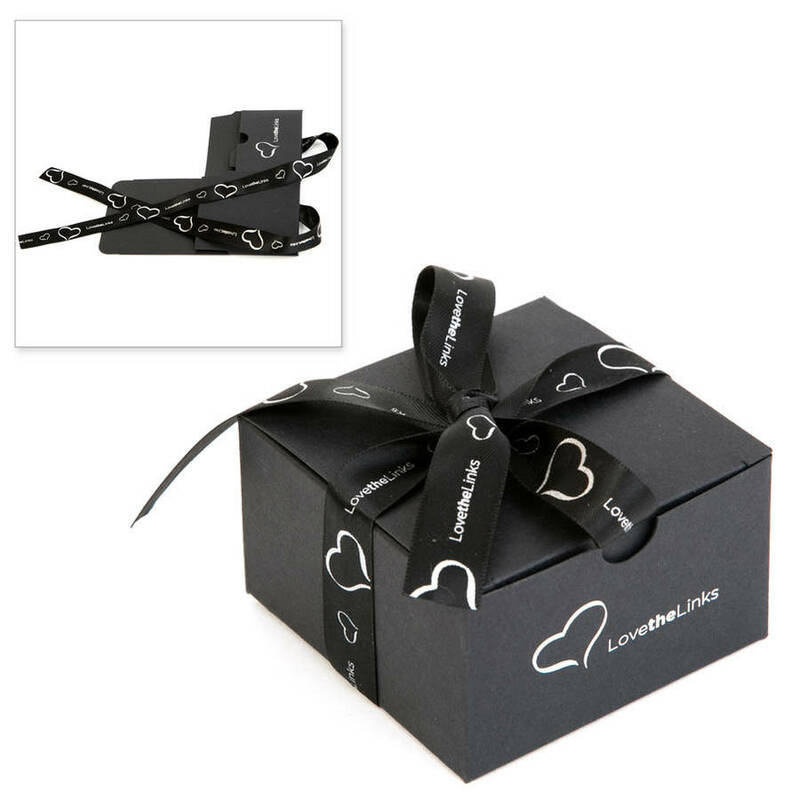 There is an option to buy a flat packed gift box (not suitable if sending directly to recipient) this then makes a beautifully presented gift. 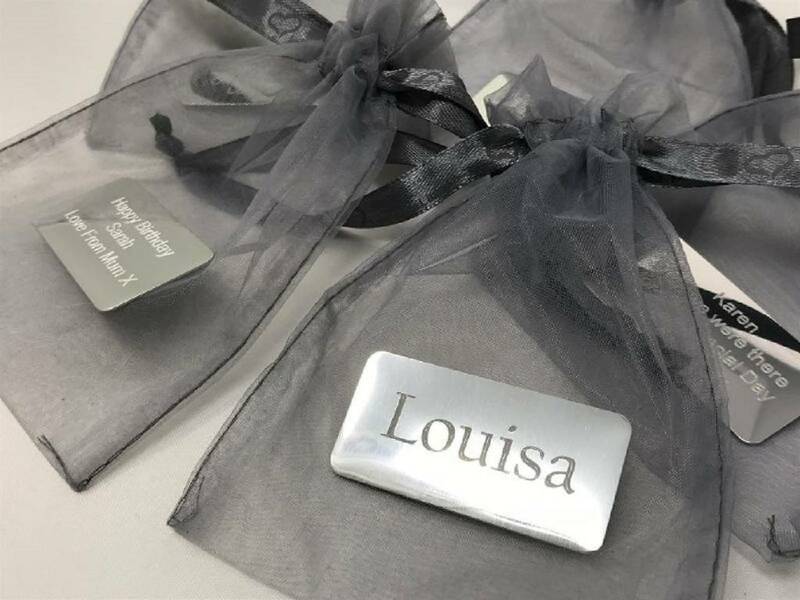 Choose a Personalised engraved plaque for your Organza bag to make this an extra special gift, messages can be up to 50 characters long including spaces or just a name which will be in larger text for £3.99. 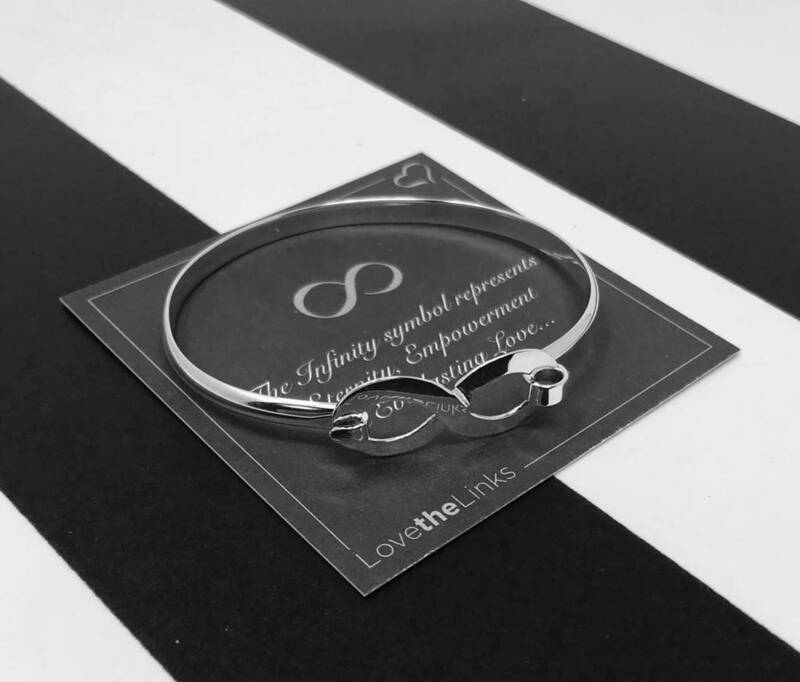 This product is dispatched to you by Lovethelinks.